Boracay is the Philippines' top tourist draw which will not disappoint if you're looking for a combination of sun, sand and sea on your holiday. Nothing beats relaxing in the sun on the powdery white sand beaches and swimming in the translucid turquoise water of this true paradise on earth. The dreamy White Beach is a postcard-perfect stretch of sand lined from one end to the other with hotels, restaurants, bars and dive shops several blocks deep. Napping at the beach is the best nap ever! Paraw Sailing is definitely a must! Experience the traditional way of sailing and discover the best sites around the island. The sunset was a romantic scene. Luxurious, affordable accommodations without compromise. Located at station 2, in the middle of Boracay Island’s world-famous white sand long beach, Henann Garden Resort is just a short walk away from the island’s attractions. Lay by a pool and get a back massage! The best place to drink out of a coconut. Ice cream is very good and it is not too sweet. Coconut is not just right, not too soft, not too hard. 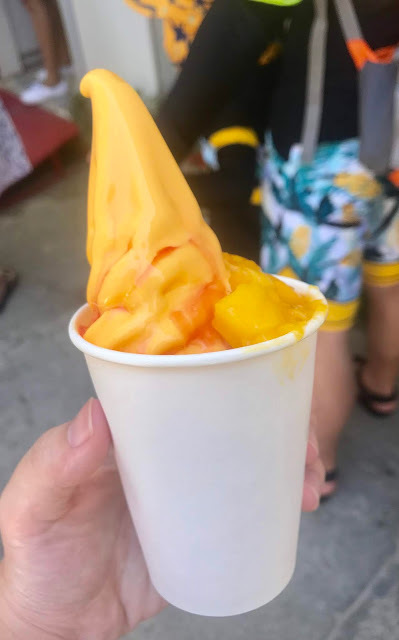 I love their Halo Mango. It’s really creamy and delicious, a good refresher after soaking in the sun. 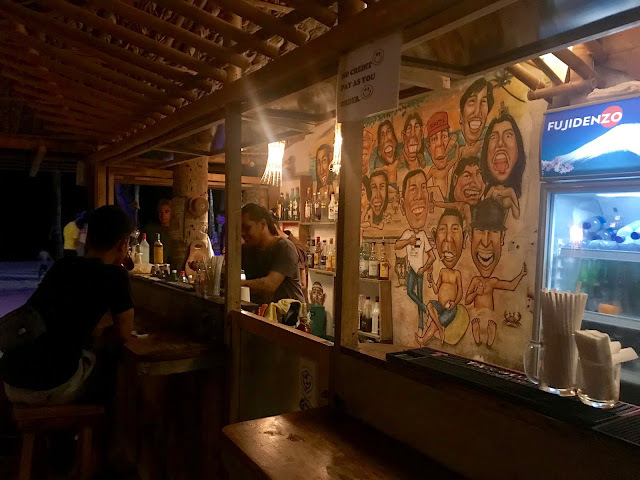 This place is very popular in Boracay. One of the best place for a quick and delicious dinner on the island. Grill squid is a must try. Was quite sour for my liking. San Mia Light is the best light beer in Philippines. This is a place that you’ll never want to miss if you’re a seafood lover. A wet marker where you can shop for a variety of fresh seafood. Grab your favourite fresh seafood where you can buy fresh seafood and have it cooked in one of the nearby restaurants. Have it steamed? Grilled or cooked the way you like. It’s open for 24 hours. Delicious and cheap Filipino food. Fried and grilled chicken are your best bet. If you need a fast food chain, this is the place to eat. The fried chicken is great and the burgers are tasty. FYI, Philippine people like to dip their food into gravy. 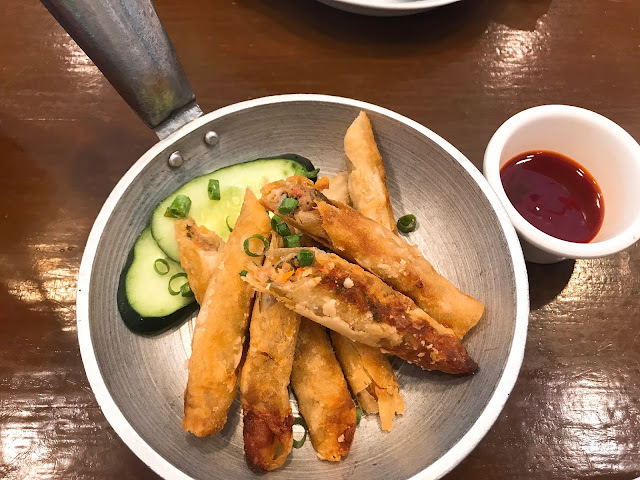 Pork and vegetables spring rolls served with sweet and sour sauce. The spring rolls are stuffed with generous amount of fillings. 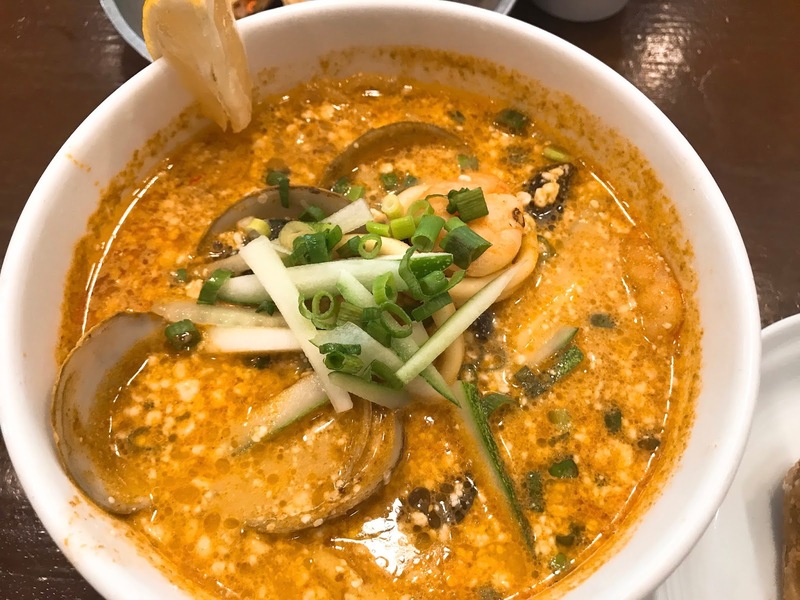 Egg noodles, fish balls, prawns, squid and tofu in spicy coconut curry soup. A great small beach side restaurant. Love their sweet and spicy prawns. The prawns were really fresh and juicy. Go for the chicken bbq set that comes with unlimited rice and free soup. Bbq Pork skewers were really tender and flavourful. One of the decent Spanish food that you can get in Boracay. Great Spanish, Cuban and Mexican food. 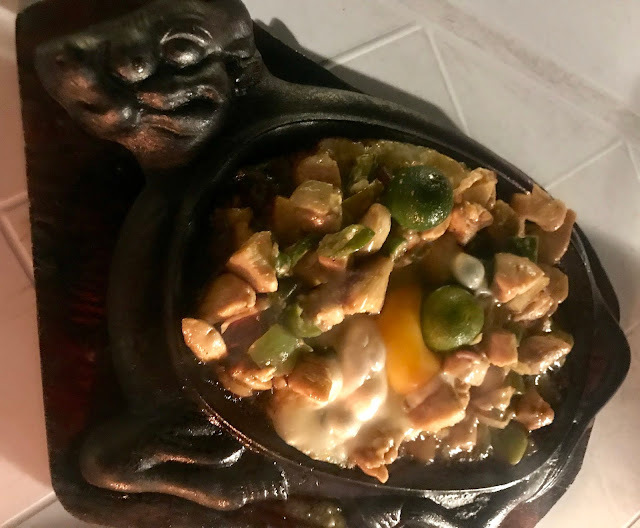 Sizzling Chicken Sisig is a protein packed meal from the Filipino cuisine. It’s sweet, sour and spicy flavours topped with fried egg are party in the mouth. 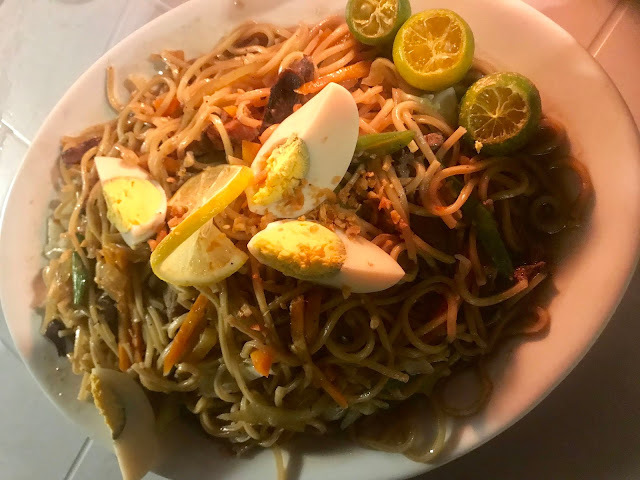 A noodle dish with chopped crispy lechon kawali, pork igado (Pork liver stew), vegetables, hard-boiled quail egg and then smothered in savoury thick sauce. 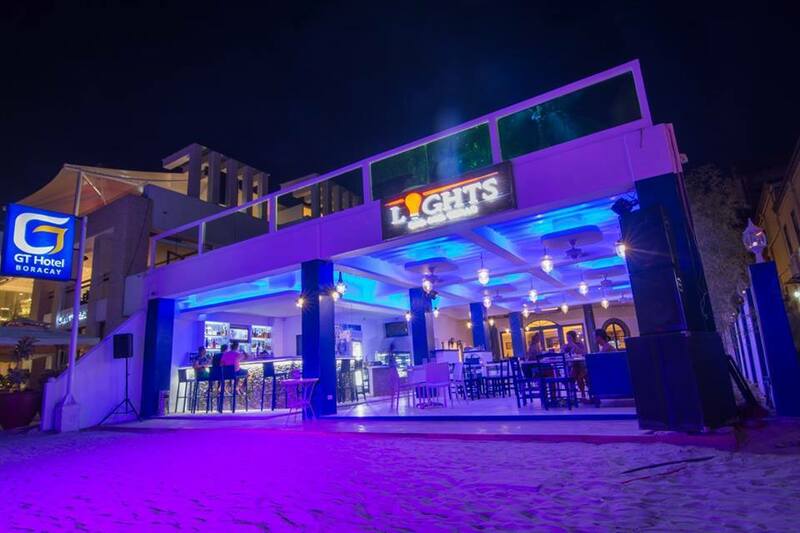 One of the best place to party in Boracay. This is the place that gives you off the party vibe. Most bars will have san mig milsen, light and red horse. The ambiance was so relaxing. Sitting on the beach, listening to tunes, having shisha and having refreshing drinks was a nice place to chill out. Happy Bar is the happiest bar in Station 3. Daily drumming at sunset by local boys plus signature cocktails and savoury appetisers. Lively Bar and disco right on the white beach. A great place to socialise and meet people from all over the world. If you have a layover in Manila for few hours, here are some the places you could go. Manila is the capital of Philippines and it is the most densely populated city in the world. The fort is one of the most historical sites in Manila. The structures in this fort are unique and impressive. The idea of having walls around the fort was to protect enemies from entering. The church looks old and wonderful with western ancient design. A historical church with attractive interior. You get to observe 3D painting on the ceiling inside the church. Most countries have their own Chinese communities, though it is in the Philippines that you’ll find the oldest Chinatown in the world. 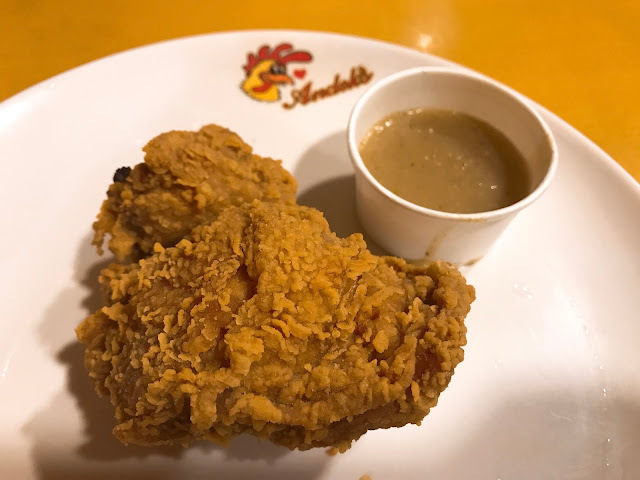 The sincerity fried chicken is a must-try here. Their fried oyster cake is very slimy and unique. 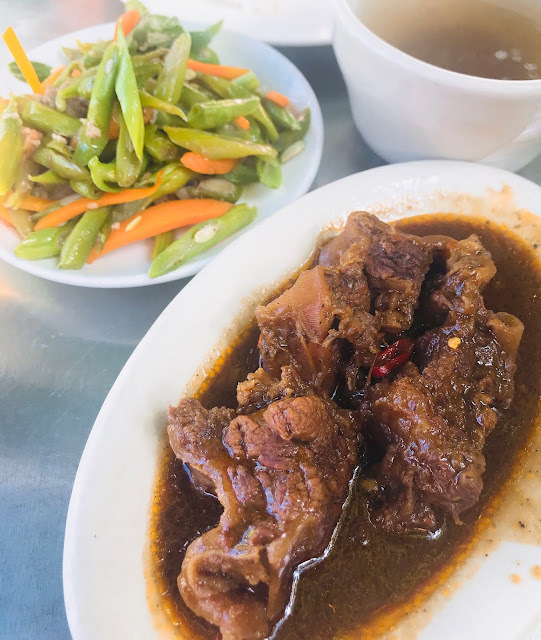 Serving Chinese Food that has been adopted to the local Filipino taste. 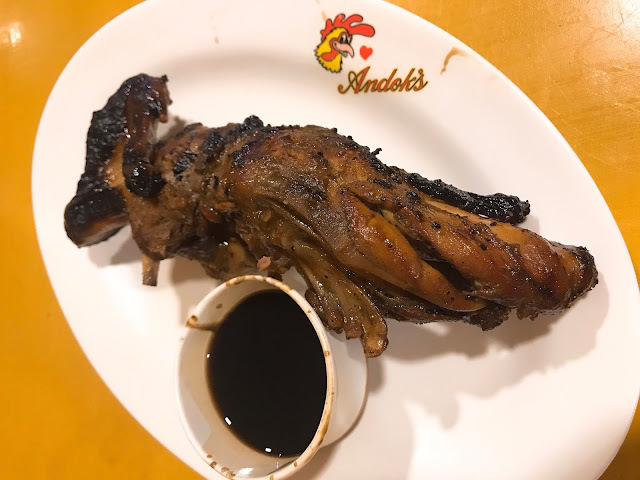 If you’re visiting Manila, you should stop here for a bite. Authentic and affordable Filipino food! 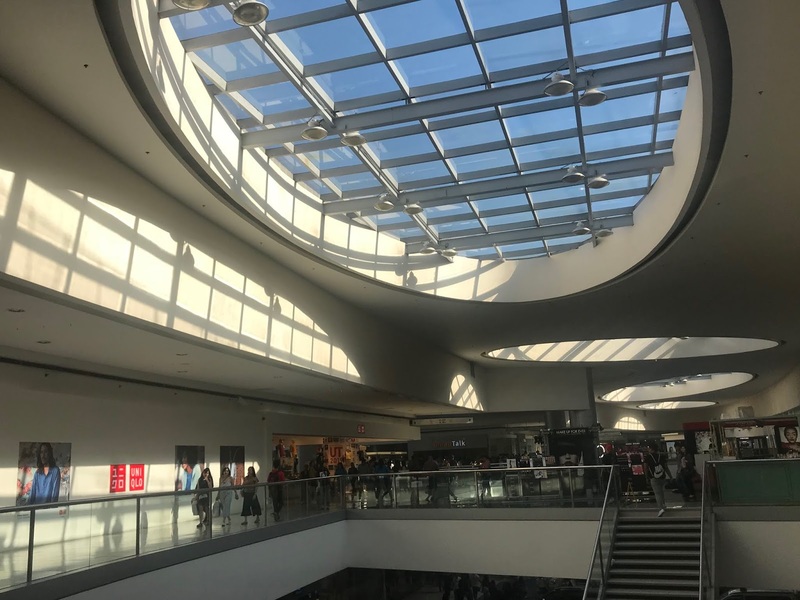 It is one of the largest mall in Philippines. The mall is divided into different building structure with many international and local brands wide by side in this huge mall.